Since then, there have been more studies – and ongoing debate about what the research means for dentists. The latest is a paper in the Annals of Oncology, which ultimately gives a more nuanced view. While the relation between brain tumors and x-ray frequency persists, a key difference was found. 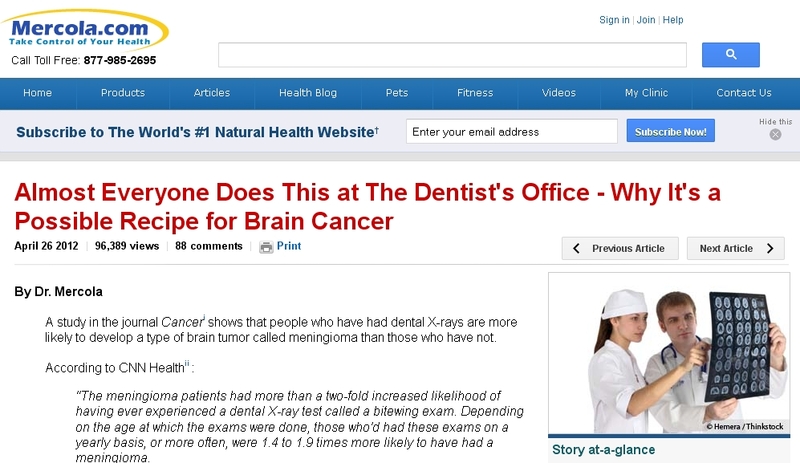 According to the study authors, “multivariable unconditional logistic regression analysis showed that the risk of BBT [benign brain tumor] increases as the frequency of received dental diagnostic x-ray increases.” However, they found no significant association between malignant brain tumors and dental diagnostic x-ray exposure. The study abstract is available here. 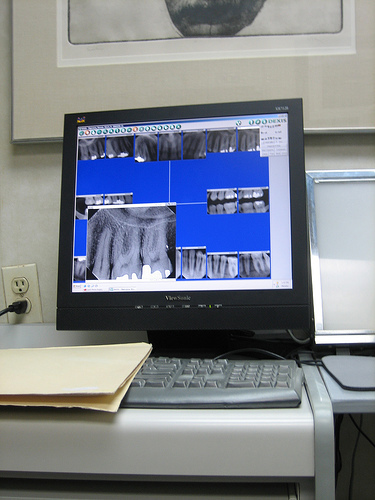 dental X-rays help dentists evaluate and diagnose oral diseases and conditions, but the ADA recommends that dentists weigh the benefits of taking dental X-rays against the possible risk of exposing patients to the radiation from X-rays, the effects of which can accumulate from multiple sources over time. And we think that’s as it should be: patient health and safety first. It’s why our office practices mercury-free, mercury-safe dentistry. It’s why we insist on using only biocompatible materials. And it’s why we use digital imaging, which lowers radiation exposure by as much as 90% while offering superior quality, and only take them when needed for an accurate diagnosis. 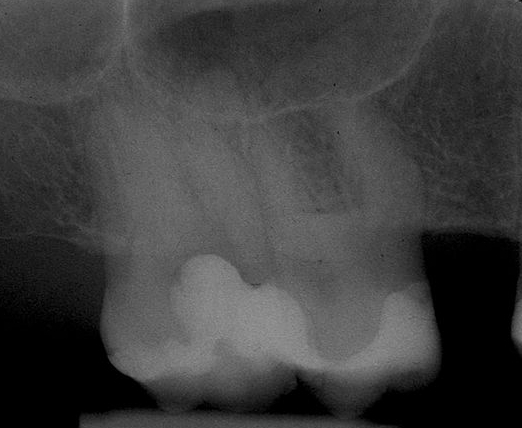 For x-rays remain an important diagnostic tool, letting us see what the naked eye cannot – inside the tooth and gums – so problems can be identified (or ruled out) and a plan of action made to solve them efficiently and safely. “Information overload” isn’t a new concept or phenomenon, but it is a more common one in our hyper-connected world. As the world moves into a new era of globalization, an increasing number of people are connecting to the Internet to conduct their own research and are given the ability to produce as well as consume the data accessed on an increasing number of websites….This flow has created a new life where we are now in danger of becoming dependent on this method of access to information. Therefore we see an information overload from the access to so much information, almost instantaneously, without knowing the validity of the content and the risk of misinformation. Another consequence is greater competition for attention. It’s one reason why we see the kinds of headlines we do – sometimes promising practical, helpful content to come, but more often striving to shock, surprise or otherwise arouse curiosity. More than ever, it’s important that we read beyond them and really grasp what’s being said. Now, if you were to just read the headline and first bit of content, you couldn’t be faulted for thinking that dental x-rays are horrible, dangerous and something to avoid at all costs. But that’s not what the article actually says. The risk suggested by the research discussed involved only routine and conventional x-rays. It also has significant limitations, which Dr. Mercola points out. And his ultimate recommendation? My personal recommendation is to find a dentist that uses digital X-ray equipment that does not use film but a sensor to capture the image. This type of equipment typically generates 90 percent less radiation and is far safer. The dentist I see uses this type of X-ray equipment. And truth be told, most biological dentists use digital imaging for the exact same reasons. It’s safe and lets us see below the surface so we can correctly diagnose your dental situation. It helps us provide you with the best biological dental care, fixing any problems early – and biocompatibly. That level of care and safety is one thing that should be routine. X-rays? No, and especially if they’re conventional film. 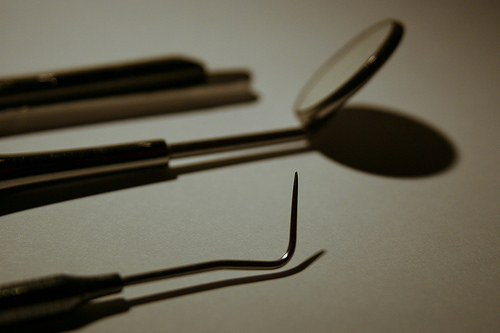 For most Americans – 80%, according to a 2009 survey by the American Association of Endodontists – going to the dentist is a scary thing. Over half say it keeps them from seeing getting dental care, despite the fact that regular visits for exams and cleanings help them avoid the things they fear: pain and procedures like root canals. But tell that to a person who’s just heard their best friend describe a bad dental experience or read one of the strange and/or horrific dental stories that crop up in the news from time to time – even as these stories can just as much be a source of motivation to take good care of your teeth and gums, and reduce the chance you’ll need extensive, intensive (and expensive!) treatment down the road. A dentist who pulled the wrong tooth from a patient had it retrieved from a medical waste bin and replanted it two hours later. Kim Green, who was in agony from a root canal infection, did not know that her healthy tooth had lain among bloodied tissues, saliva wipes and needles used on other patients. Dentist Justin George sewed it back in, left her rotten one in place and suggested she take painkillers until another appointment was arranged. Problem: As research published last year in the journal Pain demonstrated, when a tooth hurts, our brains have a really hard time figuring out exactly which one it is. In the study, researchers led by Clemens Forster of the University of Erlangen-Nuremberg in Germany analyzed brain activity in healthy — and brave — volunteers as they experienced tooth pain. The researchers delivered short electrical pulses to either the upper left canine tooth (the pointy one) or the lower left canine tooth in the subjects. These bursts of electrical stimulation produced a painful sensation similar to that felt when biting into an ice cube, Forster says, and were tuned such that the subject always rated the pain to be about 60 percent, with 100 percent being the worst pain imaginable. To see how the brain responds to pain emanating from different teeth, the researchers used fMRI to monitor changes in activity when the upper tooth or the lower tooth was zapped. “At the beginning, we expected a good difference, but that was not the case,” Forster says. Many brain regions responded to top and bottom tooth pain — carried by signals from two distinct branches of a fiber called the trigeminal nerve — in the same way. The V2 branch carries pain signals from the upper jaw, and the V3 branch carries pain signals from the lower jaw. And this brings us back to the matter of x-rays. While there’s growing concern about over-exposure to x-ray radiation, they remain a vital diagnostic tool. The key is in using them wisely – for instance, not “routinely” but when clinical need demands it. Digital imaging, which I’ve used for years, helps reduce risk, as well, since it requires less radiation than film does. So why didn’t Dr. George refer to Mrs. Green’s x-ray before going ahead with the extraction? When The Mail on Sunday spoke to Dr George at his home in Taunton he admitted responsibility but claimed there was ‘pandemonium’ at the surgery. ‘It was a really weird day,’ he said. ‘We didn’t have our regular nurse, there was pandemonium in the practice, and then the nurse left the X-ray in the machine. ‘People are all coming in with pain and I’m the only dentist in the surgery trying to see everybody, and yes, in the pandemonium, the wrong tooth was pulled out. It was an accident but everything was failing around me. I’m a new dentist. I was very stressed-out that day . . . I could hear people grumbling downstairs. You have to wonder about the role of inexperience here. It’s not hard to imagine a young dentist feeling the need to prove himself capable of working through “pandemonium” instead of acknowledging that he’s having trouble coping and it’s interfering with his work. Of course, there’s still the weird matter of how he “fixed” his mistake: calling back the patient and “sewing in” the tooth that had been fetched from medical waste, yet still doing nothing for the infected tooth. Unsurprisingly, Dr. George has been suspended and awaits his GDC hearing. Stories like this catch our attention precisely because they’re so off the norm and seldom jibe with our own experience. 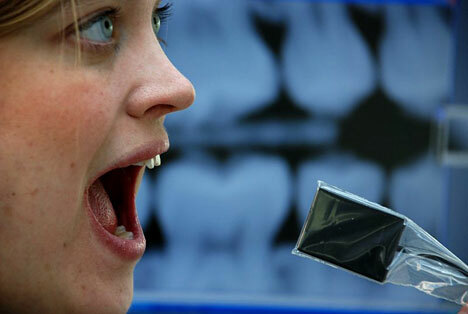 In fact, dentists provide a wide variety of methods to minimize pain. And where anxiety is an issue, we can provide things like nitrous oxide or oral conscious sedation to help you stay calm and relaxed. I make both methods available to my patients. And for those who prefer more natural sedation remedies, there are calming botanicals, homeopathics and other options we can recommend. Learn more about dealing with dental fear.